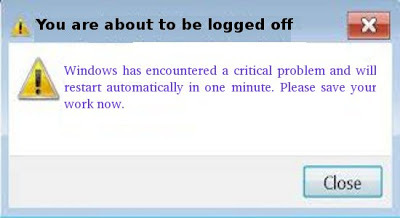 You are facing an error like this “You are about to be logged off: Windows has encountered a critical problem… ” Maybe you encounter a constitution mistake or Windows upgrade crash. But there is another reason for this error-virus attack. This is caused by Trojan virus. This is a dangerous virus that can make your computer starts automatically. You may mislead with its message box with “You are about to be logged off”. But it does make your computer restart itself then shows the message again. Your antivirus cannot remove the virus definitely. This virus may create lots of registry entries and files which occupy large resource of Windows system, which causes your computer run slowly even system crash. The stubborn virus must be removed with manual removal so that it is to be removed completely from your computer. Computer may get infected with this Trojan virus when computer users download or install a rogue security programs or when they click on a site. Sometimes computer users use freeware or shareware which contains this malicious virus. Sometimes users click on unsecure links or open unsafe files received in their Emails. Once the Trojan virus enters a computer system, it takes over the Windows service and injects a malicious code into infected computer. It damages system drivers. Once computer system is infected with this virus, it pops up numerous ads when you are surfing on the internet. If you have some problems dealing with “You are about to be logged off” virus, you are welcome to contact with YooCare 24/7 Online Expert anytime you are available. YooCare will help you with any kind of PC problem. Manual Removal Guide to Get Rid of This Error? Step 1: Restart your infected computer. As your computer restarts but before Windows launches, tap “F8” key constantly. 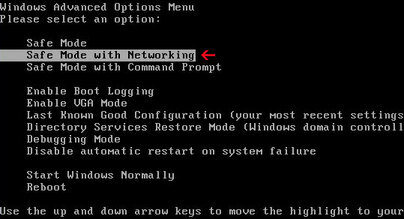 Use the arrow keys to highlight the “Safe Mode with Networking” option, and then press ENTER. Step 2: Press CTRL+ALT+DEL or CTRL+SHIFT+ESC. Open the Windows Task Manager. Within the Windows Task Manager click on the Processes tab. Find the required process. Select it with your mouse or keyboard and click on the End Process button. This will kill the process. Step 3: Delete malicious registry entries. To sum up: From the above passage, you can realize “You are about to be logged off” cause by a dangerous Trojan virus.You need to remove all the virus infected files and registry entries manually. If you have not sufficient expertise in dealing with program files,.dll files and registry entries, it may lead to mistake damaging your system. If you have some problem dealing with this Trojan virus manually, you are welcome to contact with YooCare 24/7 Online Expert anytime you are available. 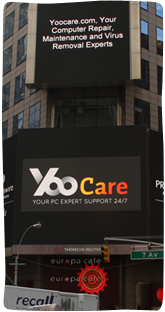 YooCare will help you with any kind of PC problem. Note: If you found it is difficult to follow the removal guide above, please contact with YooCare PC experts 24/7 online , YooCare experts will help you remove this virus from your computer completely.